Ties & Socks for Christmas Giveaway with Ties.com! We've never had a giveaway with this many winners! Personal style is only as strong as your weakest link. What does that mean? Imagine you’re on a date and you rock a pair of raw denim jeans perfectly matched with a shirt & blazer… but it all falls apart because you don’t address the details. Your tie is mismatched because, well, you only own a few, your collar points are turning up, and your socks (should you, ahem, be in a position to remove your shoes at any point in the evening) are the same thing you wear to the gym. The moral of the story: Don’t be the crappy tie and sock guy. A stylish tie is a conversation starter and statement maker, and Primer is thrilled to announce we’re giving away FIFTY $20 gift certificates to Ties.com, the perfect place to find ties and accessories online. 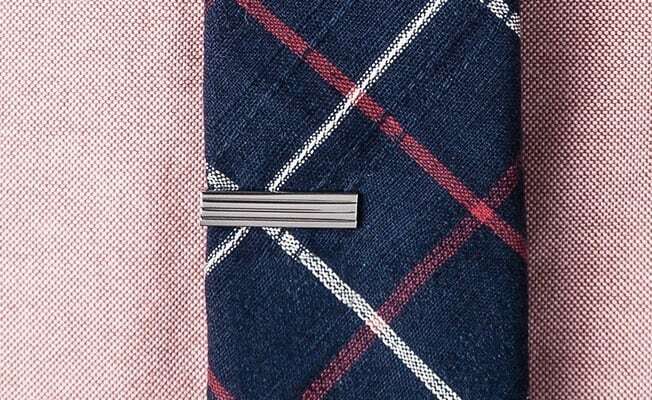 Minding details like tie, pocket square, tie bar, and socks can take a good outfit and make it compelling and fashion-forward, and with 30% off essential items storewide it’s the perfect time to pick up some choice pieces. Hailing from Orange County, CA, the team at Ties.com have combined affordable style with superior quality to take the men’s accessory business by storm. They don't think a sharp looking, quality tie should cost $70. They work directly with their manufacturers to ensure solid workmanship on each tie. It also enables them to pivot quickly to new trends and materials. They’ve brought a single-minded focus on customer satisfaction to their business with free shipping and a hassle-free 100-day return policy. Check out Ties.com and you’ll quickly realize the spending power $20 gives you. The vast majority of their stock comes in at $20 or under, and with free shipping you’re not shelling out extra to claim your prize. Ties have a bad rep as the quintessential lazy Christmas gift, but we disagree. Rocking a fresh tie (not to mention cufflinks, socks, and tie bar) is the ideal way to make your look pop at the office Christmas party or family gathering. If you’re gifting, it’s a guaranteed pleaser for the stylish guy in your life. Enter to win one of FIFTY $20 gift certificates and start sprucing up your holiday style. Use the widget at the bottom to enter! 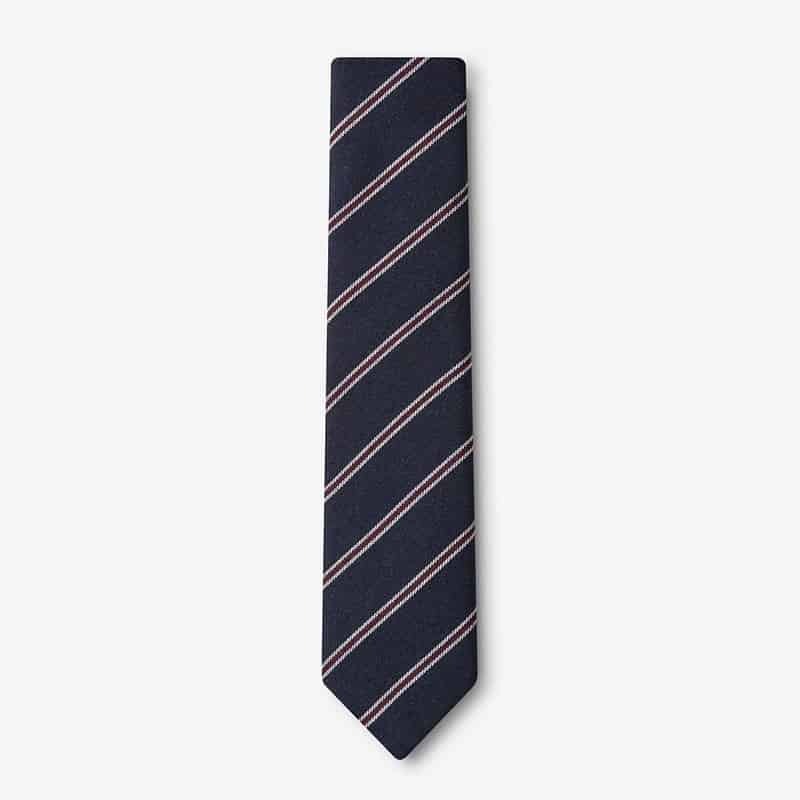 Ideal for more casual applications, its texture makes this tie understated and eye-catching. White yarn is interwoven over a charcoal base to achieve the look. Pair with a grey suit for a distinctive, casual look with lots of texture and character. 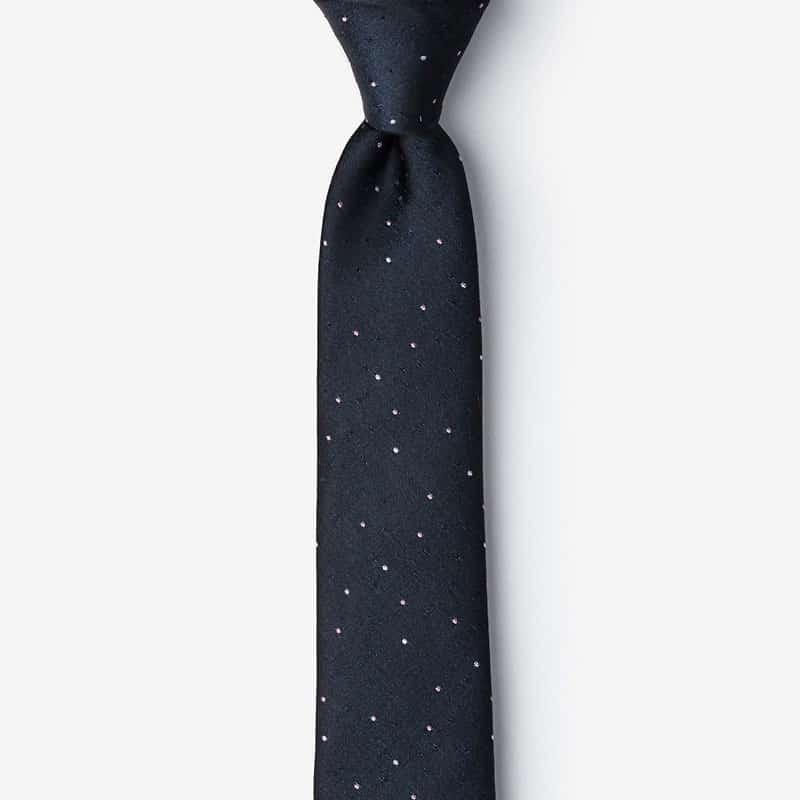 A dark gray or blue tie with white flecks is a must-have. Pair with a grey or blue suit of any fabric for a subtle look that approaches formal without being aggressive about it. Ah, the prep-school navy tie with white and red accents. Many an Abercrombie model has worn it as a belt or headband during photo shoots. But the strong identity of this tie makes it ripe for subversion: pair with a rakish jacket or a classic sweater for a timeless look. Minimal, functional, classy, the Vice tie bar (no relation to the hipster news outlet, though likely worn by a number of their employees) is an essential style detail. If the devil is in the details, then these socks are definitely the details. 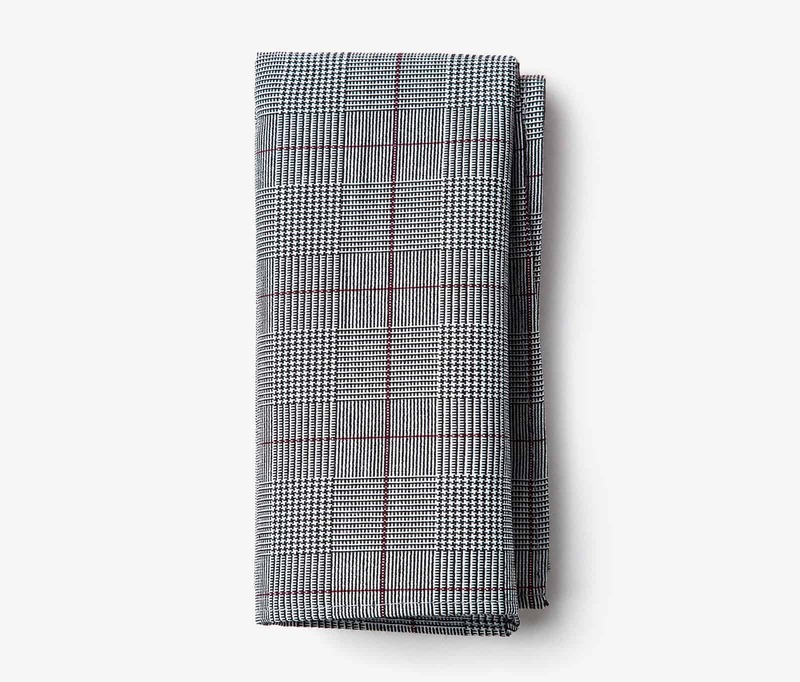 A modified window pane or Glenn check with a touch of red makes this an excellent formal accessory. If you’re going to collect the right tie for each of the major outfits in your arsenal, you need a way to organize them. Do it right with a cedar tie rack-slash-organizer that keeps silk and cotton fresh and pest-free. I’ve got a few interviews coming so I think it’s time I started to update my tie collection! I could always use a few extra ties. Those cedar tie tacks look pretty nice, too! I agree with Steven Curry. I have interviews coming up so need new ties. I need more skinny ties in my life. That’s probably what I’d get. As an aspiring young professional with a very limited budget, these ties would be a perfect way to grow my business wardrobe without paying through the nose!! I would love to get one of the Tie racks. I sure need some new ties. This would be a great way to refresh my sock drawer, something I try to do every 6-8 months! A tie rack would be perfect! I’m in need of a better way to store my current tie collection! Who couldn’t use another tie or two? These ties look pretty rad. Any given bowtie to stand out from the rest of the crowd at the next job interview would be wonderful! My pocket square collection is an embarrassment. Need to up my game! What a great post and awesome styled socks….buying some if I win or not! Socks and ties are always put to good use. In addition to the holidays coming up, I’d use this for my upcoming wedding! I am in desperate need of a wider tie bar. Moving away from my skinny ties has left me without a suitable tire bar for the width. Nice designs, and good prices! I look forward to checking out the merchandise in person. Love the tie bar. Got to add one to my rotation. i’d definitely try to go for that Tie Rack! I could really use some new skinny ties. Thanks for the suggestions! I love thetiebar, but these look great! I always need new ties! Maybe enough people will enter so we can sway the Christmas parties away from the tacky sweater attire. I just found holes in 2 favorite pairs of socks — time for an upgrade. I would love to stock up on some new styles! Those are some nice looking Ties you suggested. Been wanting to step my game up. Might have to pick up a few. I always love a good tie! 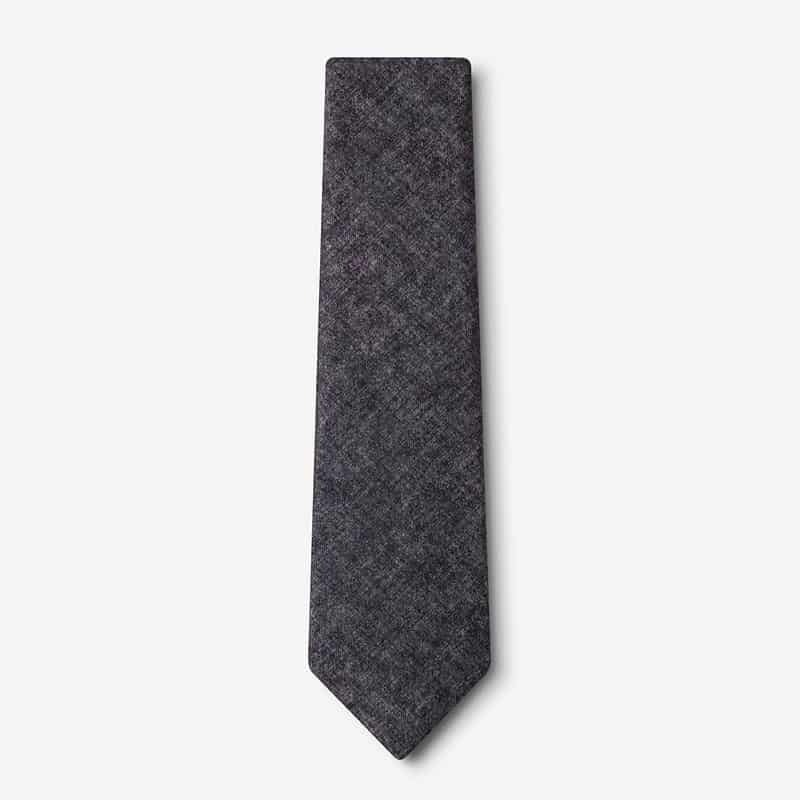 Does anyone have any experience with these ties? what’s the quality like? I always am ok for more ties and pocket squares and socks. all of the above. Skull & Crossbones and Special Herbs socks would be sweet. Great giveaway!! You can never have enough ties!! Well obviously I am entering because I am forever trying to up my image. 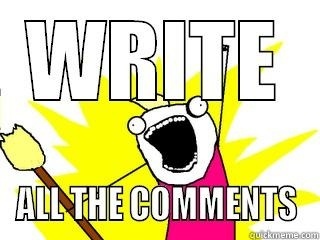 This has got to be one of the best sites to do just that. Thanks for all your help. Ties are the bomb. Awesome giveaway! I’ve been looking to add a few ties to my collection that I can wear to grad school without seeming too stuffy. Because quality goods are priceless…even better when they’re free! Happy Holidays! An upgrade on some ties and socks would come in handy for post grad interviews. Lots of great ties; I would definitely update my tie collection with this giveaway. As an attorney I always need more ties! Good stuff! I could do a lot with a forest green tie — possibly knit? I’ll be applying to some jobs soon, a new tie will be nice! One can never have too many ties to choose from! I love shopping at Ties.com. It’s my go to place for style. Another great giveaway. Thanks, Andrew! Who doesn’t love new ties and socks! new tie for my new job – yes please! Starting my MBA and could use the cedar tie rack to keep my ties organized. Great looking ties, would use. I need some new socks for sure. I could definitely use some socks and ties that aren’t just cheapos from Walmart. I’d like that tie rack. I could definitely use some of those sweet lookin socks for Christmas! I’d use this to buy bowties for the groomsmen for our wedding next September! I would love to get a 2″ metal tie bar. Not sure which one I would get – there are so many options! I need some new ties to replace some worn out ones. Thanks Primer! I been meaning to get some new business socks! Throw in some collar stays! Haven’t gotten a new tie since my wedding 8 1/2 years ago. It’s time for an update. I’d always enjoy trying to build a nicer wardrobe. Would love to rock a bow tie! Sounds like a sweet giveaway to get! Great content as always! I’m hopeful for a new position at work and will be needing some ties. Could use some new ties. That cedar hanger is great too! I’ll be graduating from college this spring. I’d love to have a new tie for when I enter the business world! Hoping for the socks or pocket square, but would be happy with any of the prizes. I’d love to start my tie collection on the right foot with some of these great ties. Beautiful ties and amazing tie rack! You can never have too many ties! “The Subtle Style Gift Box” is up my alley. I’d definitely use my $20 to get one of their cool tie clips! Options are always good. I could definitely use more sock choices. Either the Navy Blue Richards tie or that cedar tie rack! I need some new fancy ties. New teacher here. I could use a tie or two. Good luck, and may the best enterer win! Digging the look of the Seagoville Skinny Tie. I have actually been to ties.com. There is some great stuff there. Wool ties especially. Patterns that aren’t hokey or a “one and done”. So cool. Love the charcoal tie! Need to update my tie collection! This will be perfect for job interviews! Could definitely use some ties & socks! I’d like to buy the blue Borden tie if I win. Yes! I would like some ties! Would really love that Burgundy And Navy Stripe Skinny tie! Good quality looking ties, and tie bars. ‘Tis the season for some new ties! Ties.com vs the tiebar anyone? Starting a new job next month and need new ties to go with my new suits! Who wouldn’t want more ties? Does anyone know the tie that is in the vice tie bar picture? Love the tie rack! I struggle with the best way to organize my ties. The hunter green tie is great and tie rack looks nice too! These are really nice looking. This is why I love your site, so insightful & informative! In time for the wedding? Doubt it. Oh well. Ordered an awesome tie & belt rack on the cyber monday deal. Love it! Cleans up the look of my closet a lot. Could always use a new tie! One can NEVER have too much ties! 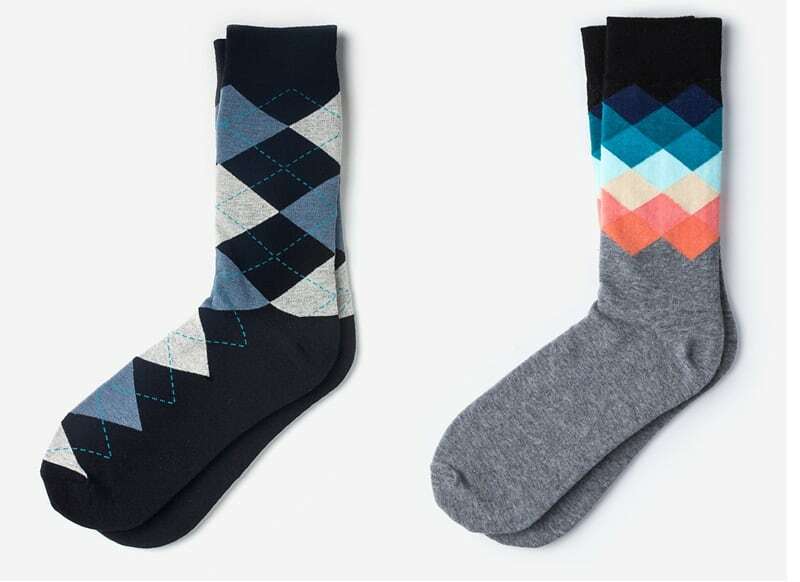 The socks from this site are killer… I need 3 pair! I need to freshen up my collection. One of the few instances in which I’d be okay with a contest ending in a tie. Great contest, would love to use it to update my old tie collection. New ties will be great to start off med school looking fresh! I am embarrassed to say I only own one tie (identical to the prep-school style). The tie rack is precisely what I need to nudge further acquirement. Love ties.com! Already know which one I’ll get if I win! A couple pairs of those socks. My dads loves ties! And I just got some Mac software for free in this giveaway. Guys you can have a try! I ties.com b/c they got this amazing black cotton one that I love to wear to internship. Need to kickoff 2017 right! Son just graduated and I have got him an interview suit would be great to have some updated ties. Gonna use it for work! Need to have some casual cloth ties in my wardrobe. As a teacher, I like to wear ties daily. This would help to diversify my options!